Ride7: Raisonance Integrated development environment capable of debugging and programming the target microcontroller. 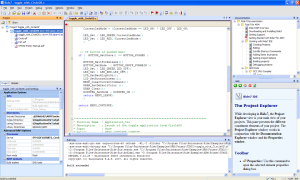 Ride7 provides fully integrated code editing, compiling, device programming and application debugging features from a single easy-to-use graphical interface. Ride7 delivered with Primers from STMicroelectronics and their destributors allows debugging of up to 64 Kbytes of code in RAM or Flash. A Ride7 toolset upgrade is available from Raisonance to allow debugging with no code size limitation. 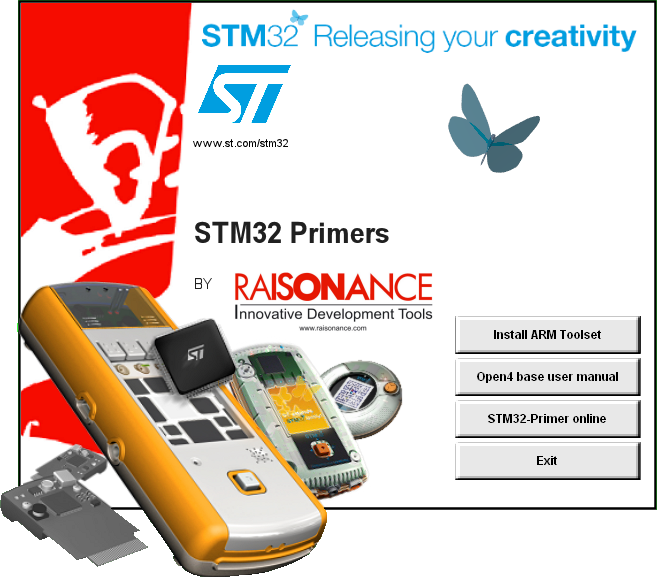 With STM32-Primer-Pro available from Raisonance, Ride7 allows unlimited debugging and programming of the target STM32. For more information, please consult the Raisonance web page. GNU C compiler for STM32 provides fully optimizing, unlimited compilation capability. Compiler control is seamlessly integrated in Ride7. For more information about product capabilities and documentation, go to the GCC site.